Epithelial Mesothelioma is the most common cell type of Mesothelioma. It is a rare, aggressive cancer found in the lining surrounding the lungs, abdomen, testicles or heart. This type has a better prognosis compared to biphasic and sarcamatoid cell type. The cells of the epithelium are elongated and egg shaped and the easily visible nuclei make it less difficult to diagnose. Cell growth is rapid as the cells divide faster than other Mesothelioma types. The cells are known to cluster together so metastasis is slower as well. Although the cell shape can aid in a quick diagnosis, it is not always easily done as the cells can often look like adenocarcinoma and breast cancer. Approximately seventy percent of pleural mesothelioma is epithelial cell type. Epithelial cells are one of the four tissue types found in the body. These cells form the linings of our organs, cavities, and our skin. When these cells are exposed to carcinogens, it causes them to change genetically thus prompting them to become cancerous. Most often Mesothelioma is diagnosed within the pleural cavity but it can be found elsewhere, too. Other areas not as common as the pleura are the abdomen and rarely the lining of the heart. Mesothelioma is usually caused by the inhalation of tiny fibers that pierce the lungs when inhaled. Over a long latency period of 20-50 years, the needle fibers work their way through the inside of the lung towards the outer portions. Once the fibers arrive at the pleura they cause irritation to the lining of the pleural cavity and cause cells to undergo genetic mutation. This results in cancerous cells. Epithelial Mesothelioma can present itself in a wide variety of symptoms which include shortness of breath, back pain, chest pain, shoulder pain, pleural effusions, night sweats and cough. Despite this, there are some people who have been diagnosed without experiencing these symptoms. Physicians use a battery of tests to confirm the diagnosis of Mesothelioma. Once a diagnosis has been established staging has to occur. Staging describes how advanced the disease is and will help develop a treatment plan for your disease. Stage 1 describes that the disease has not spread to lymph nodes and this is the earliest stage usually with the best prognosis. Stage 2 is when the Mesothelioma is still located on one side of the body but there are signs of lymph node involvement. In Stage 3 metastasis or spreading of the disease has gone to lymph nodes and surrounding organs. Finally, in Stage 4 Mesothelioma has spread to other organs and the opposite side of the body. Often times treatment options are limited and care usually involves relieving symptoms. Treatment of this disease is very individual because everyone’s Mesothelioma is unique. Treatment options include surgery, chemotherapy, radiation therapy, clinical trials, or palliative care. It is in your best interest to go to a center where the faculty is familiar with this disease. 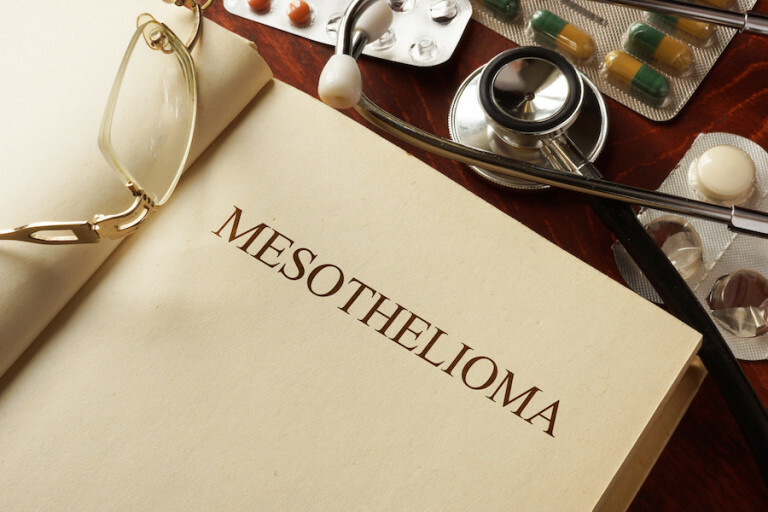 Centers for Mesothelioma offer the most options for this aggressive disease as they have seen a wide variety of Mesothelioma cases.